It all started some 16 odd years ago when Fiat came up with a common rail turbocharged diesel engine which it told the people was a uniJet Turbo Diesel (JTD) engine. Some years down the line in 2002, Fiat came up with the next avatar of CRDI JTD engine which it touted as the Multijet diesel engine and it came with an electronic injector control which reduced the noise levels of the car drastically and the same time, gave the performance a boost. And how can we rule out the company’s supremacy in the diesel engine market even today. Their 1.3 Multi-jet diesel engine is present in almost every car today. Plonk the engine in any car and the car will sell like hot cakes only if it is not sold by Fiat themselves. That’s what you call irony personified. And Fiat has just brought to the market the latest iteration of the diesel technology, the Fiat Multijet 2 diesel technology. The Fiat Multijet 2 diesel technology made its debut first in the Fiat Punto Evo in 2009 and the USP of the technology is that it boosts the fuel delivery process by a wide margin and the latest technology has the ability to manage 8 consecutive fuel injections with precise metering. 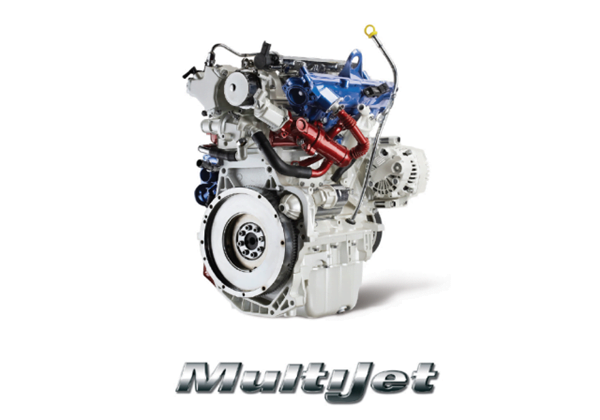 The Multijet 2 engines will come with an altogether new functioning and gets a newer system of injection pump and solenoid injectors, which in lay man terms will cut down the emissions and provide a better lower end torque. All these help make the Multijet 2 technology Euro 5 emission compliant. Multijet 2 diesel engines will make their way to the Indian shores next year in the next generation of the Punto as well as the Linea. And the same engine we expect will make its way on to the other cars which use the current Multijets as well. We just wish that after making such bomb-proof engines, Fiat manages to sell them well in their own cars as well.